Each year the CWDGA conducts Four-Ball Match Play in each of the five sections and four district-wide tournaments; Championship; One-Day Stroke Play; Better-Ball of Pairs and Senior Better-Ball of Pairs. Any woman golfer from a member club in good standing who meets the CWDGA eligibility and handicap requirements is eligible to play in all events. To remain in good standing, unless there are exceptional circumstances, a member club must allow the use of its facilities when requested, which is usually once every two to three years for Four-Ball Match Play and once every ten to fifteen years for a tournament. The Golf Chair and Team Captain at each member club are responsible for assisting the CWDGA in securing play dates at their home course. 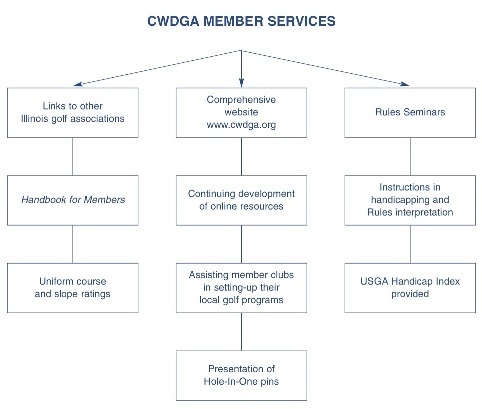 In addition to golf events, the CWDGA provides the following services to its member clubs: a comprehensive website www.cwdga.org with access to Four-Ball Match Play and tournament information and continuing development of on-line resources; links to other Chicago and Illinois golf associations; uniform course and slope ratings; The CWDGA Handbook for Members publication; meetings to assist member clubs in setting-up their local golf programs; Rules seminars; instructions in handicapping and Rules interpretation and presentation of CWDGA hole-in-one pins. 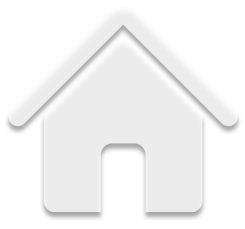 Membership dues are assessed by the CWDGA for each club. Assistance to member clubs is available from the CWDGA throughout the season.